The rain moved through and we awoke to patchy clouds but much colder temperatures. We have our cold weather riding gear but putting it on and waddling around in it is something of a hassle. Nonetheless, we headed out. As the day went on the skies cleared even more and it turned out to be a beautiful, crisp fall day. We made three noteworthy stops today. 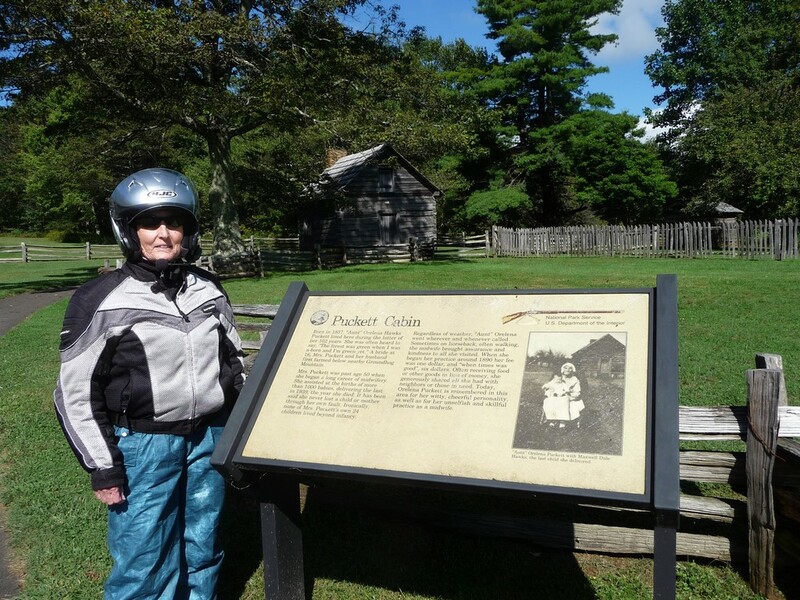 The first was at the cabin of Orleana Puckett. She was born in 1837 and died in 1939 at the age of 102. She was a midwife and helped in the birth of over 1000 babies. Ironically, she gave birth to 24 babies of her own, but none survived infancy. The second stop was at the Mabry Mill. It is the most photographed spot on the Blue Ridge Parkway and it is easy to see why. Here's a photo of Dianna in the prime photo spot. We wandered the grounds exploring the mill and other artifacts. 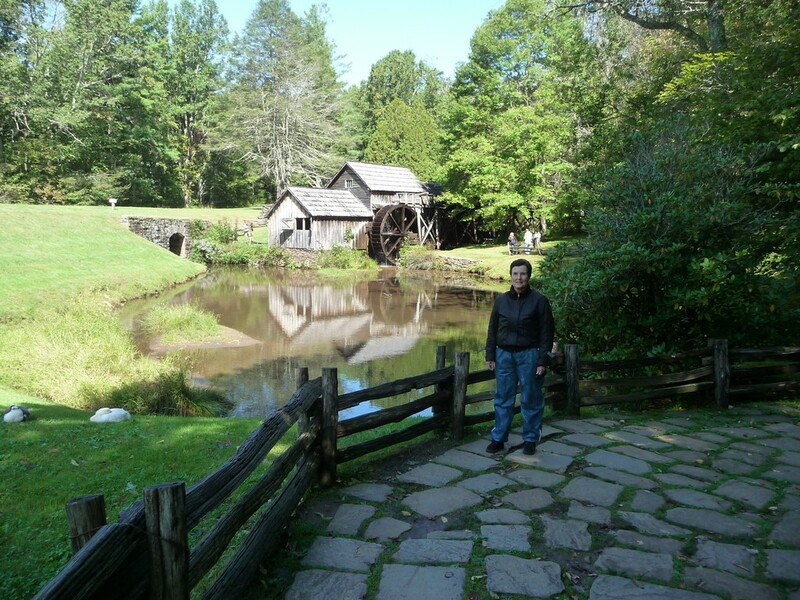 The water wheel powered a grist mill, saw mill, lathe, jigsaw and whatever else Mr. Mabry could think of. There was also a blacksmith demonstration, a still, a sorgum making facility, lye soap making equipment, and many old farm implements. It was an enjoyable stop. The hot cider we bought at the restaurant there was a welcome touch too. Later on, after stopping for a picnic lunch at an overlook above Roanoke and then crossing the Roanoke Valley, we climbed back up onto the ridge and stopped at Fallingwater Cascades and took a half mile hike down into the canyon to see it. It was pretty and we needed the exercise. Tonight we are in Lexington, VA. Tomorrow we should complete the Blue Ridge Parkway, ride the length of Shenandoah National Park on Skyline Drive, and end up just outside of Washington DC in Manassess, VA. 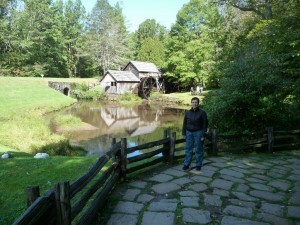 I remember Mabry Mill but don't think that there were all the "Looky Lou" spots back then, just the water wheel.